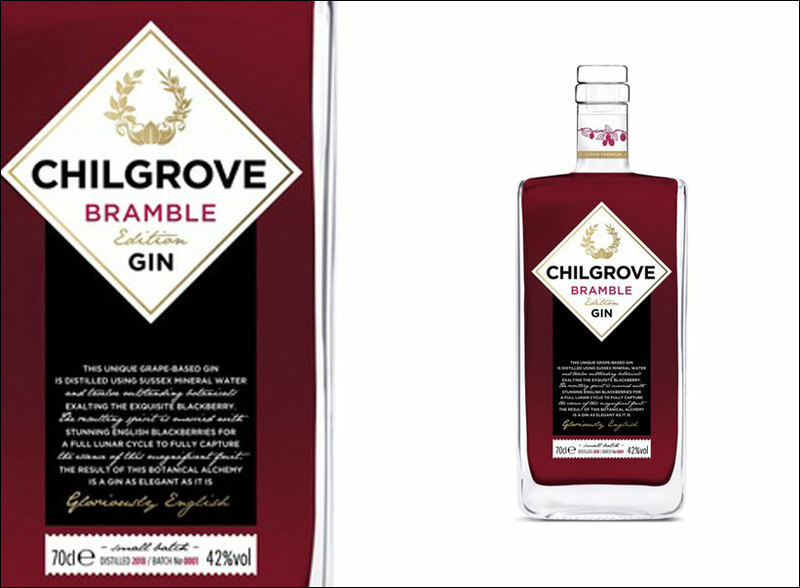 Chilgrove Spirits is soon to launch its brand new ‘Bramble Edition Gin’. As with all Chilgrove’s unique spirits, the story of their Bramble Edition Gin starts not with blackberries but with grapes. They distil 100% grape-alcohol with crystal-clear Sussex natural mineral water, along with twelve carefully balanced botanicals including blackberry. Chilgrove Bramble Edition is a seriously-smooth, ruby-red gin just bursting with fruit. Co-founder of Chilgrove Spirits, Christopher Beaumont-Hutchings, explains, “Introducing blackberries carefully in these two separate parts of the gin-making process ensures that juniper remains at the forefront which, coupled with the bottling-strength of 42% abv, truly earns its title of ‘Super-Premium Gin’. Interest in fruit and flavoured gins is soaring and we are very excited to be putting our unique stamp on this burgeoning sub-sector of the gin market. The smooth texture of our signature grape-base marries perfectly with the subtle notes of English blackberry delivering a serious gin that is guaranteed to impress”. The new Bramble Edition Gin will be presented in the same super-premium packaging as its sister products, complete with bespoke glass stopper and an elegant double-gate folded neck-brochure providing the customer with detailed product information and four signature cocktail recipes. On the nose: Clean, piney juniper backed up by soft blackberry, faint stone-fruit. On the palate: Clean, smooth and assertive, soft blackberry and redcurrant balancing the fresh juniper, well complimented by crisp citrus and subtle spice. Finish: Warm berry fruit in harmony with dry juniper. Warming and yet very refreshing. Overall: Beautifully balanced. A serious gin with layers of complex berry fruit. Every one of the 12 botanicals play their part to deliver a gin as well suited to a classic G&T as to more ambitious contemporary serves.